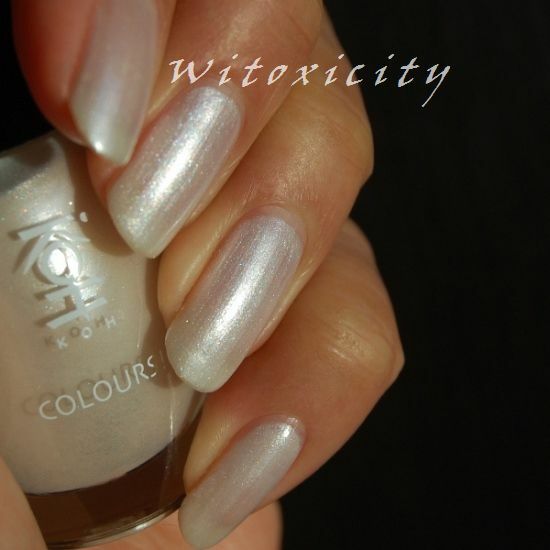 Let's take a look at the second polish from the upcoming KOH Jewels collection. KOH Ruby is certainly my kind of colour. 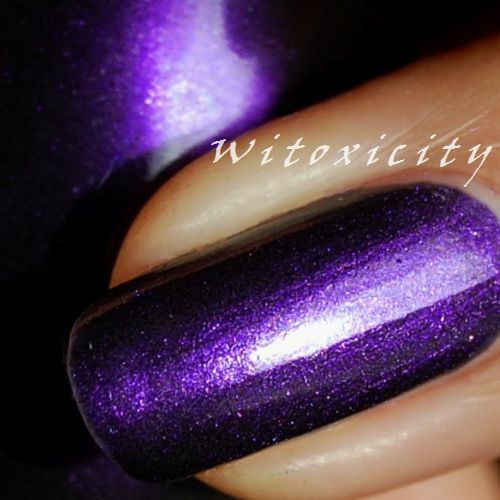 In the bottle, it looks like a straightforward burgundy shimmer. 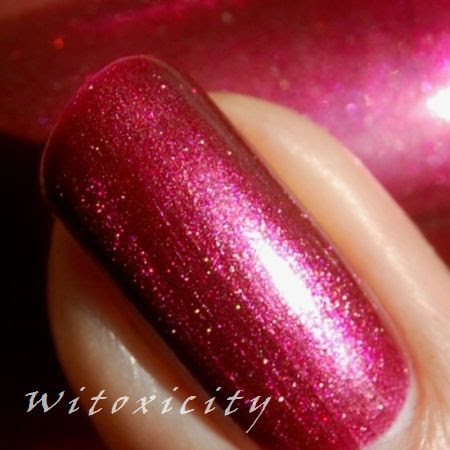 However, applied on nails, you will notice some fuchsia in the mix. Lovely! I have two thick coats on here. Lighten, tighten and brighten your skin with DHC Acerola's natural Vitamin C, extracted from Acerola berries ripened in the Caribbean sun. 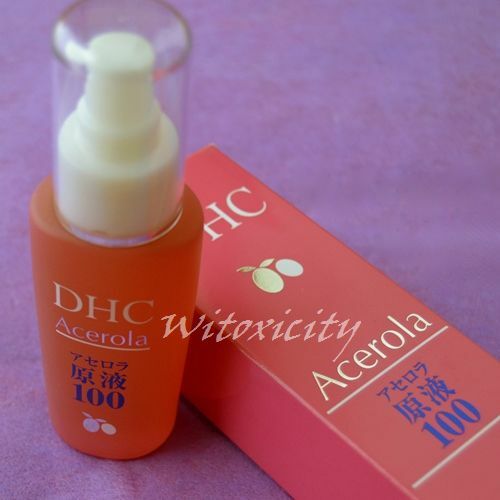 Japanese brand DHC claims that its Vitamin C-rich Acerola range helps to reduce pigmentation, prevent acne, refine skin's pores and improve elasticity. I was plainly curious. I've used some wonderful facial skincare products in the last few years but fortunately/unfortunately, my curiousity about what else is out there continues to drive me on my beauty awakening journey that is Witoxicity. DHC stands for Daigaku Honyaku Center. Funnily enough, DHC started as an educational translation company in 1972 and was a provider of educational business materials. It seems, the superior quality of the olive oil from Núñez de Prado groves in Baena, Spain caught the attention of the DHC owner, Mr Yoshiaki Yoshida, one day and after learning more about the wonderful benefits of olive oil for health and skin, he made the decision to venture into the skincare business. In 1980, he started out with just three products revolving around organic virgin olive oil. Japanese skincare products made using Spanish olive oil - it was a rather strange combination and DHC still loves flaunting this uniqueness in its marketing literature. The DHC of today has a mind-boggling range of skincare products and health food. Although the products being reviewed here don't contain olive oil (a couple contain olive leaf extract though), many of DHC's products are still based on the benefits of the oil. DHC now claims that it is Japan's No. 1 direct mail skincare company. To put this in some context, direct sales for skincare and cosmetics is a mature market in Japan and according to the Japan External Trade Organisation, the skincare and cosmetics direct mail distribution channel makes up 13% of sales volume of skincare and cosmetics in the country and we are talking about a multi-billion yen industry here. It's huge. So, I started using these DHC products in late spring last year, after two consecutive bottles of SheerinO'kho Face Creams. For the first four and a half months, I was using these three Acerola products exclusively (plus my usual facial cleanser) and when the Acerola Gel (the white tube) ran out, I continued using the remaining two with a moisturiser from another brand until they finished. Here's what I think about each of them. .....this enlivening formula can help your skin ward off the free radical damage that can cause visibly uneven skin tone and fine lines. Layer it underneath DHC Acerola Gel for an even stronger punch of fruity benefits, so skin appears more radiant. Water, butylene glycol, glycerin, aloe barbadensis leaf juice, phenoxyethanol, salix alba (willow) bark extract, hydroxyproline, disodium ascorbyl sulfate, allantoin, serine, malpighia glabra (acerola) fruit extract, yeast extract, olea europaea (olive) leaf extract, placental protein, acetyl tyrosine, paeonia suffruticosa root extract, pueraria lobata root extract. I see on the DHC website that the bottle packaging has been re-designed. I can't comment on this new bottle but the old one I had was a ridiculously heavy glass bottle which was very inconvenient to carry around when travelling. I checked the list of ingredients and there doesn't seem to have been any change in the contents. 'Lotion' is such an inaccurate name for this product. It's really a toner. It's a colourless liquid, has almost no scent (you may detect a faint berry scent if you sniffed hard) and it's very mild. I pat it on using just my fingers and palms and it's refreshing to have that on the face after cleansing. I'd say it's an okay toner. It has done no damange but it hasn't done anything terribly special to my skin either. Be warned that this toner contains placental protein, which may gross some of you out. 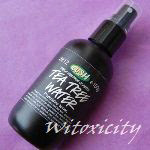 Price: £13.50 / USD18.00 for 100ml. If used consistently twice a day, a bottle will probably last six to seven months. This concentrated moisture treatment delivers the natural vitamin- and antioxidant-rich goodness of tropical wonder berry acerola in combination with a master moisture-binder. Light and nourishing, this formula absorbs quickly into skin to help brighten and soften, leaving problem areas silkier, more even-toned, and more luminescent. Water, butylene glycol, malpighia glabra (acerola) fruit extract. 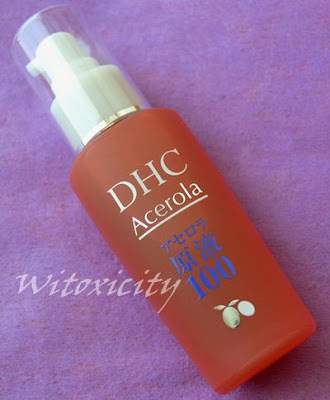 The DHC Acerola Extract comes in a glass bottle with a pump dispenser. 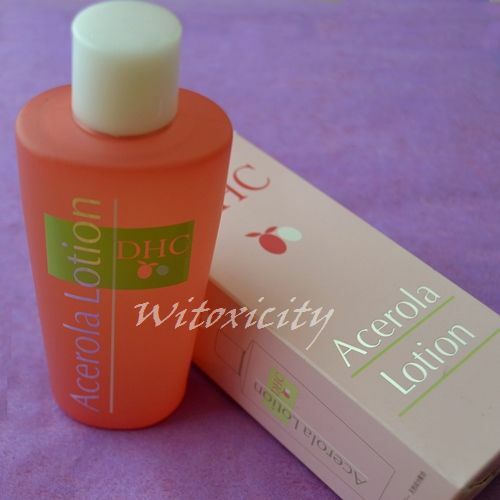 I put on this Acerola Extract after the Acerola Lotion. It's a clear liquid with a brown tint, of low-medium viscosity and it has a distinct smokey-berry smell which is pleasant enough. Typically, I would use two-three pumps each time. It leaves the skin feeling a bit tacky after application. I actually got two bottles of the Acerola Extract. I was especially drawn to this because, in the brochure, DHC said that it nourishes and moisturies and its Vitamin C-rich formula lightens pigmentation and reduces acne marks. The salesgirl was convincing too and told me that one bottle lasts one month on her. That's why I bought two. Well, that salesgirl may have lied to me or she may be one who overzealously splashes this on till her face is dripping wet but I can tell you that one 30ml bottle should last about three months. Is the Acerola Extract any good? I think it may have helped to smooth my skin when I had a short bout of skin congestion on my forehead (just little bumps, not breakouts, from over-indulging in greasy food). There may have been a little improvement in my old acne scars but I didn't see any change in the pigmentation spots that I have. Frankly, it was hard to come to a straight conclusion about this product. If I thought there were improvements, it was only marginal. So, what better way to find out than to ask someone who hadn't seen me for seven months - my aunt. When asked if she noticed any improvement in my complexion, she blinked, thought for a few seconds and then choosing her words carefully, she said, "Nnno, not really." Sigh, okay, it didn't make any difference after two bottles. Maybe one would see a noticeable difference after five. Perhaps if I came across this product again and if it's on special offer, I would consider getting a couple more bottles. 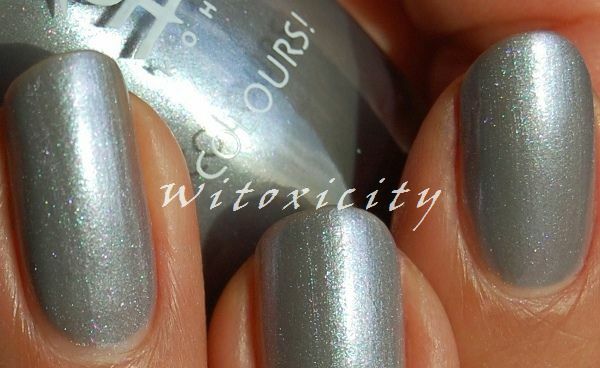 Price: £18.00 / USD22.50 for 30ml. Our non-greasy gel, enriched with acerola’s high vitamin C content, helps counteract visible sun damage so skin can appear brighter and more even-toned. Helps keep normal to oily complexions hydrated. Acerola brightens. Water, butylene glycol, carbomer, phenoxyethanol, potassium hydroxide, salix alba (willow) bark extract, malpighia glabra (acerola) fruit extract, yeast extract, acetyl tyrosine, olea europaea (olive) leaf extract, paeonia suffruticosa root extract, pueraria lobata root extract. 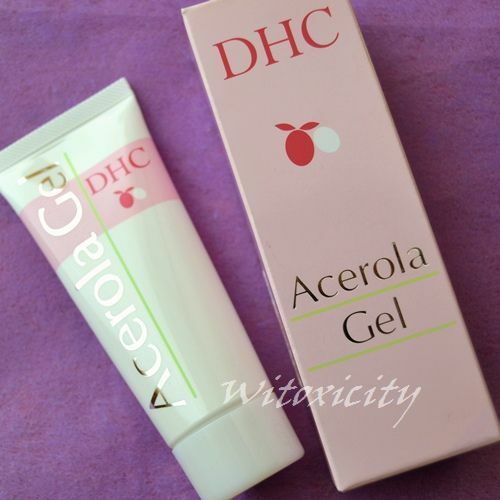 The DHC Acerola Gel is housed in a clean-cut white tube. It's colourless, not at all greasy and has practically no smell. As it's a gel, it does give the skin a nice, cooling feeling. Okay, if I had trouble forming my conclusion about the Acerola Extract, I sure didn't have any with the Acerola Gel. Brochure said: This oil-free moisturising gel works all day long to create a protective layer which locks in the skin's natural moisture. 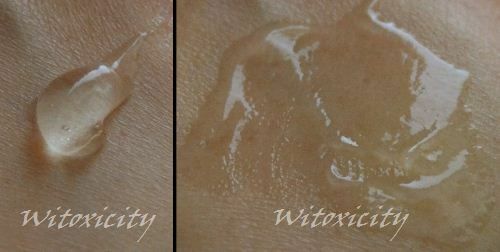 Witoxicity says: Moisturiser, my foot! It hardly moisturised my skin. It was borderline okay for summer but it left my skin gasping for hydration as autumn approached and you can definitely forget about using this in winter. I stuck it out for four months plus and luckily, they were the warmer months. I didn't think that my skin benefited at all from using this gel. 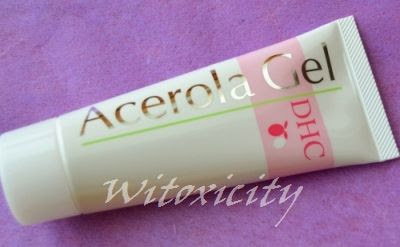 So, I'm definitely not impressed with the Acerola Gel. Price: £14.00 / USD18.00 for 40g. A tube lasts about four to five months (used twice a day). The fourth product in the Acerola range is the Acerola Cream which I don't have (the local distributor never imported this one). I only discovered this fourth product when I checked DHC's website. Housed in a rather small jar, it's supposed to be a richer moisturiser than the Acerola Gel. As I haven't got it, I can't comment on how it compares to the useless Acerola Gel. Also, some of you may be interested to know that on the website, I see placental protein listed amongst the ingredients. Price: £18.50 / USD23.00 for 40g. I thought the toner (Acerola Lotion) was okay but I would prefer if the placental protein were left out. 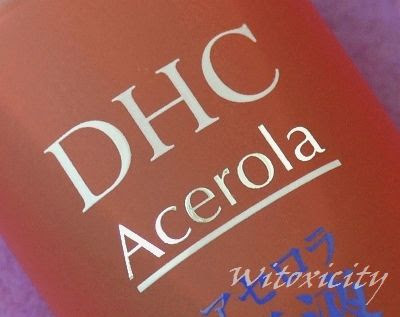 If access to DHC were easier, I wouldn't mind getting a couple more bottles of the Acerola Extract to test it for a longer period than six months. 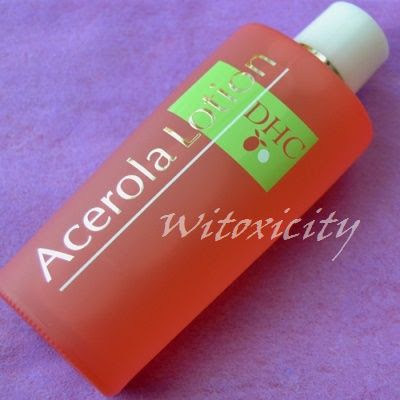 As for the Acerola Gel, I'm totally ditching it. There appears to be many DHC fans out there but there is something else you should note though. DHC extols the abundance of Vitamin C that acerola contains (34 times more Vitamin C than in lemon) which is well and good but there are quarters who question the amount and the quality of the Vitamin C the final product actually contains after going through all the extraction and manufacturing process. DHC has been in the US since 1995 and has had a presence in the UK for a little over five years now. DHC however hasn't reached Dutch shores yet. 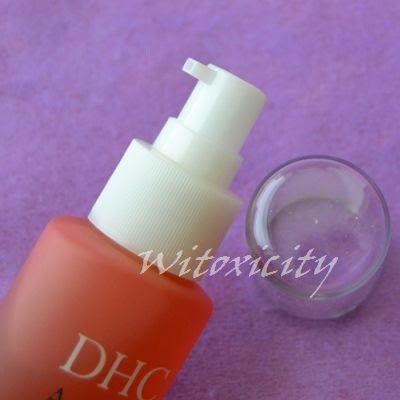 DHC products can also be found on Amazon US, Amazon UK and Amazon DE. It feels like only yesterday when we were looking at KOH's first special collection for 2013, Love Story. Well, it's time for the next one already! 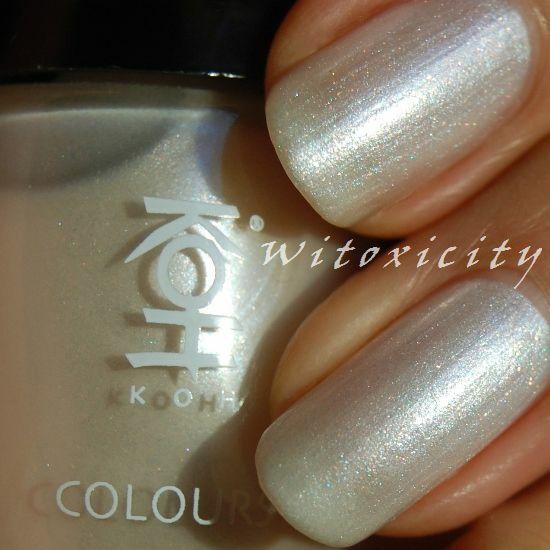 The new collection is called KOH Jewels (not to be confused with KOH Jewel, a green shimmer polish released a couple of years ago). Obviously, it's a shimmer collection. Let's kick things off with KOH Rose Quartz. 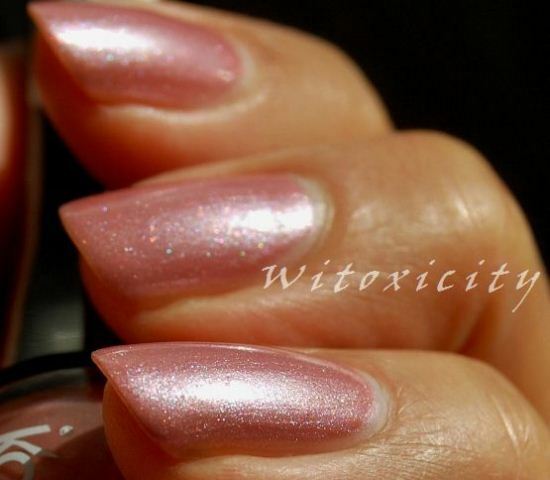 It's a dainty pink-dusty rose shimmer, not unlike the name it's been christened. In strong sunshine, you might be able to make out its pinky red and aqua twinkles. In the photos here, I have a mixture of two and three coats on. The KOH Jewels collection is expected to be in stores in March. Retail price: €14.99 per 10ml bottle.